The Mission of The Woodlands Allergy, Asthma & Immunology Center is to help children and adults with asthma, allergies, and immunodeficiency. We strive to deliver the highest quality of care in a warm and caring environment. We excel in service by providing personalized, family-oriented care with state-of-the-art testing, treatment, and education. 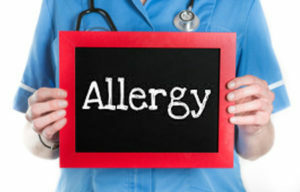 The Woodlands Allergy, Asthma & Immunology Center is run by OIT specialist Dr. Anna George..
We know you have many choices where you may receive your allergy services. Thank you for choosing The Woodlands Allergy Center to meet your Houston oral immunotherapy needs. We want to meet and exceed your expectations for excellent service. We do not use the “one size fits all” approach. We are not like many high volume practices where hundreds of patients come in and out all day long. We take the time to listen. We use testing to guide the diagnosis. Then we tailor treatment to your specific needs. We care about your health and well-being. We do not give up on unusual or complicated diagnoses. You can rest assured that we will be advising you on the best treatments available to get you well again. If you are not feeling well, we can nearly always see you the same day. We are proud of our professionalism and our reputation in The Woodlands. We thank you for the opportunity to serve you. We know that without you, we would not exist.